The Uweza Sponsorship Program links sponsors to children in Kibera in order to provide academic scholarships for bright children in need of support. Primary and high school are not free in Kenya and the costs of education are often unaffordable for families in Kibera. As a result, many bright students, who are the key to the future of Kenya, are forced to miss days or weeks of school, drop out, or never attend at all. All sponsored students receive payment of school fees, school field trips, school uniforms, textbooks, some school supplies, termly life skills workshops, and mentorship and guidance from the Uweza staff. Recipients are chosen on the basis of need and academic performance. Sponsored students are chosen from the community and from participants in our other programs who are doing well in school. 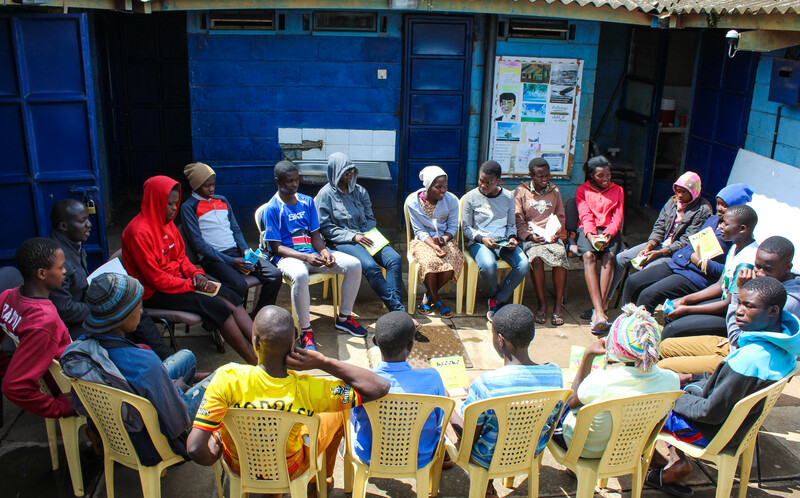 Before admission into the program, Uweza staff conduct an interview with the student and his/her guardians, conduct a home visit, and review past academic performance. Although both primary and secondary education have been declared free by the Kenyan government, most public government-run schools in the Nairobi area still require students to pay school fees, purchase textbooks, and purchase school uniforms. Private schools are even more expensive than public schools and many “free” schools in Kibera lack the resources to provide a proper education. Sponsors commit to monthly support and are matched with a Kibera student. As a sponsor, you will receive quarterly updates, which will include a letter, report card, and photo. Please select a giving option below to sign up for sponsorship or to request more information. If you are unable to commit to monthly donations, please consider making a one-time donation to the sponsorship program through the link below. All sponsorship donations will be used to fund the education of students from Kibera.